Marble is a fabulous material. 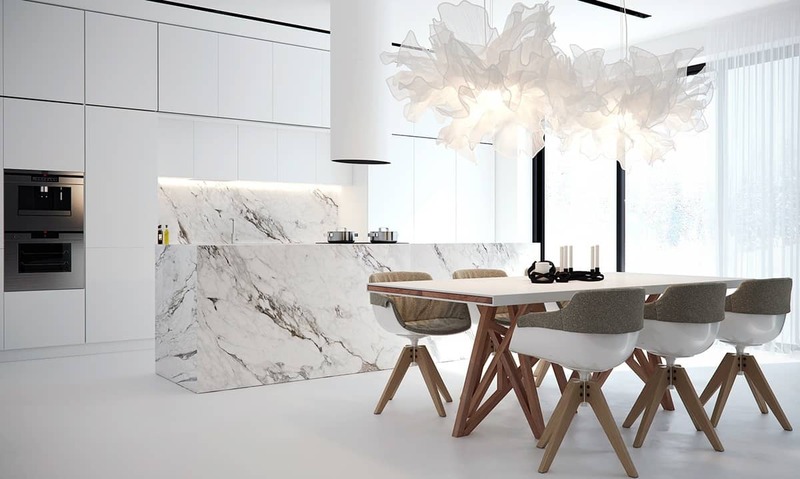 Once the realm of the rich and famous, marble is associated with glamour and quality. Artists use it to carve sculptures and architects used it to create grand weather proof entrances and cool lined rooms. We’re craving that glamour again today. 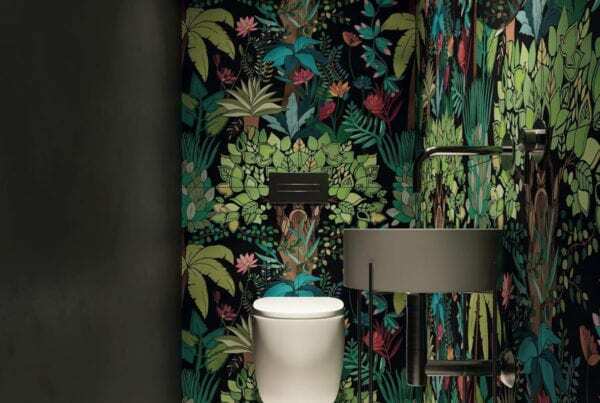 Marble has made a steady come back and there are now many ways to bring marble into your home at any budget. A marble interior is right on trend! Marble is a great option for wet rooms and kitchens; water doesn’t affect it once sealed and its touch enough to be a work top too. A solid sheet of marble looks great as a kitchen splash back and gives an simplicity that you can’t quite get with tiles. When used on mass it has instant impact! 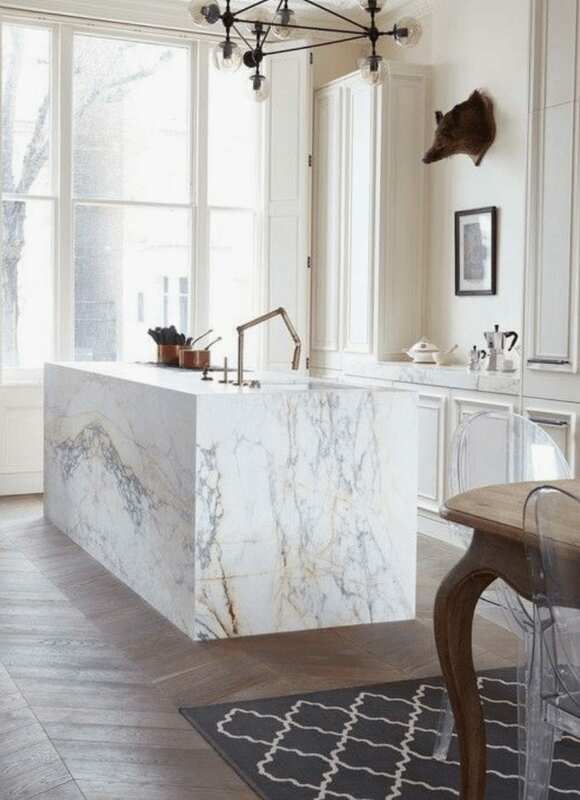 We love this marble kitchen island… its just beautiful! 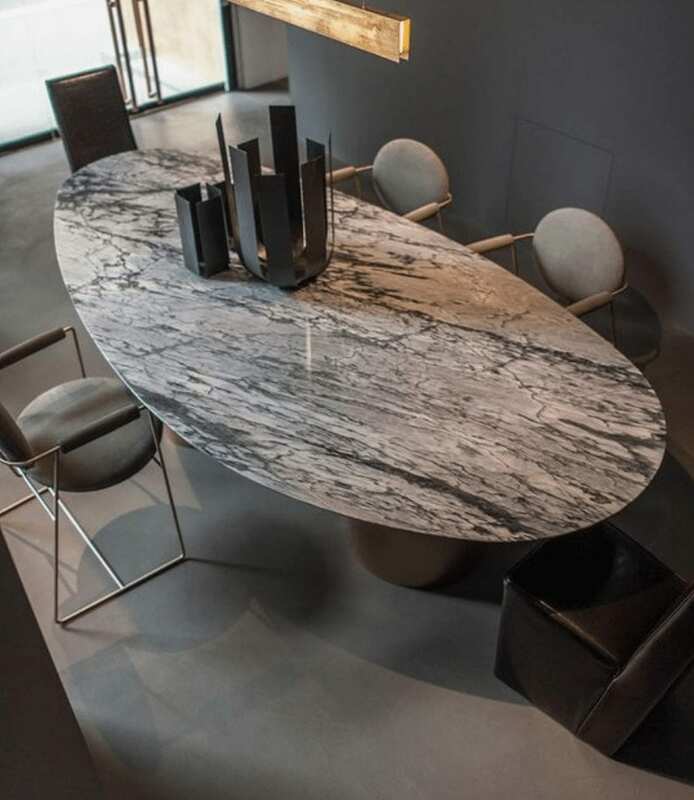 Beyond the more practical rooms in the house, marble has becoming popular as a table top materials and also through accessories in our homes. 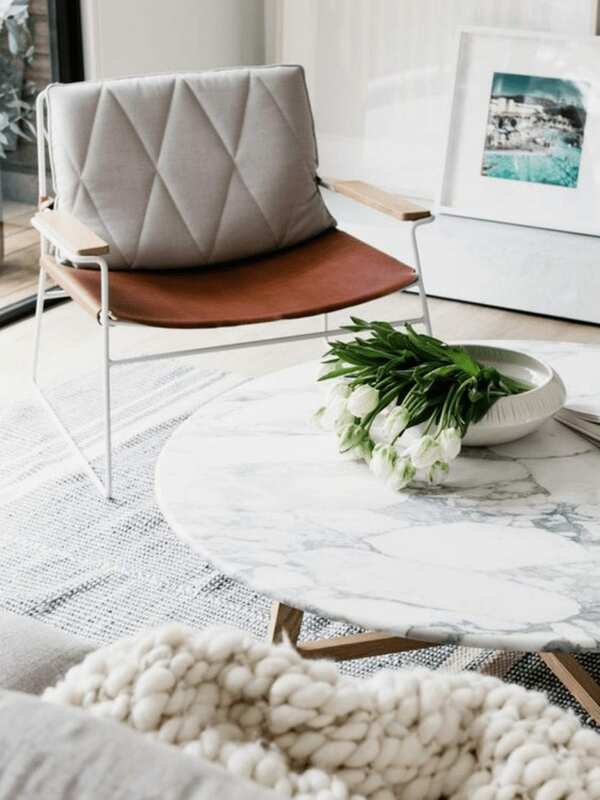 Marble tables are a personal favourite of mine and I’ve been on the look out for a marble tulip table (ideally a vintage Saarinen) but due to marble interiors growing in popularity, costs have shot up recently even for damaged tables as marble doesn’t shatter. I’d happily accept this beautiful marble table into my home. Here is my coveted table. Just look at the beautiful tulip pedestal base. The chairs are fantastic too but they’re for another day! Although marble is a gold igneous rock, we’re also influenced by the patterns it contains. Plus, a faux materials is a cheaper alternative if you’re on a budget! 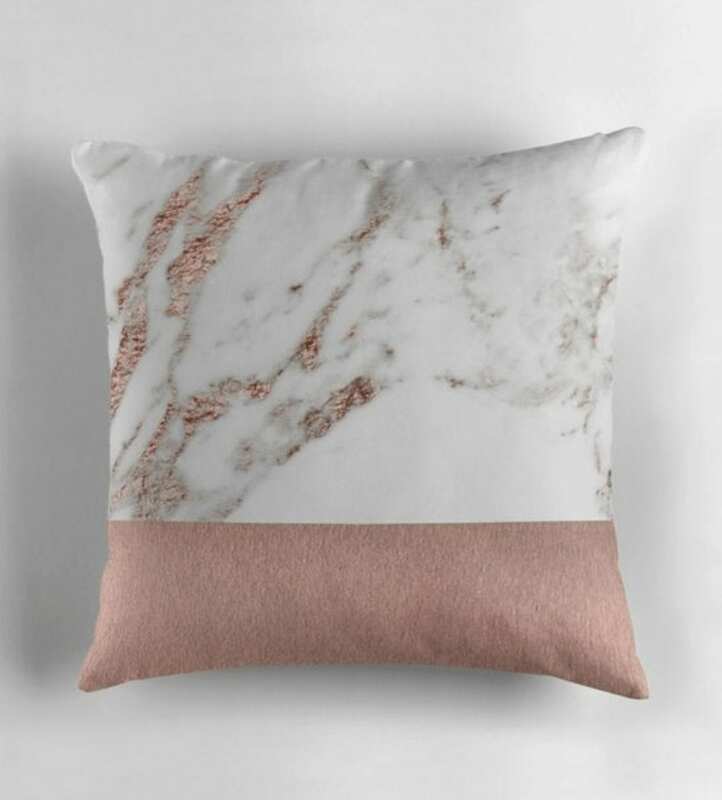 Going even more extreme, we’ve seen marble print appear totally out of context on fabrics and materials. We love this lamp shade below by Cox & Cox and this gorgeous little cushions from Peggie Prints. 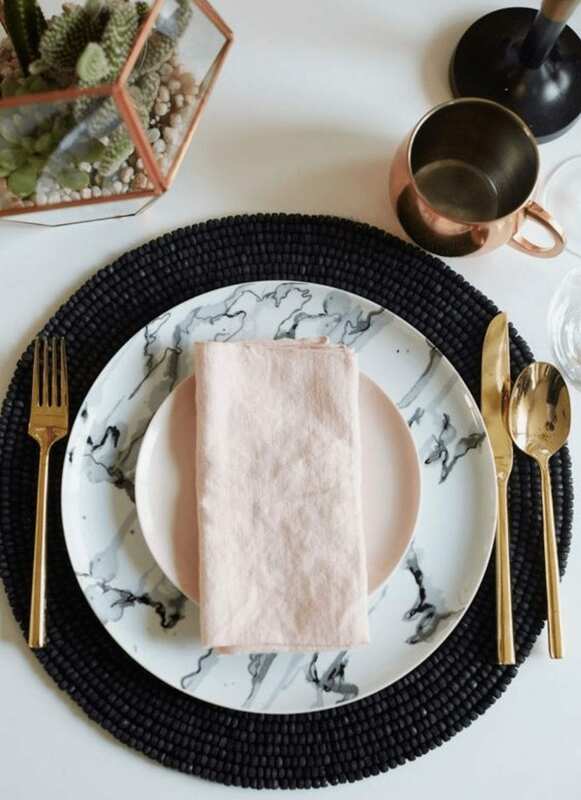 Marble has appeared on our dinner tables too, but closer that the table, we’re eating off it too! Although its unlikely you’ll get a real marble plate in the average home, sales of marble-look porcelain are expected to soar this season. There are some absolutely beautiful marble side tables available at the moment. 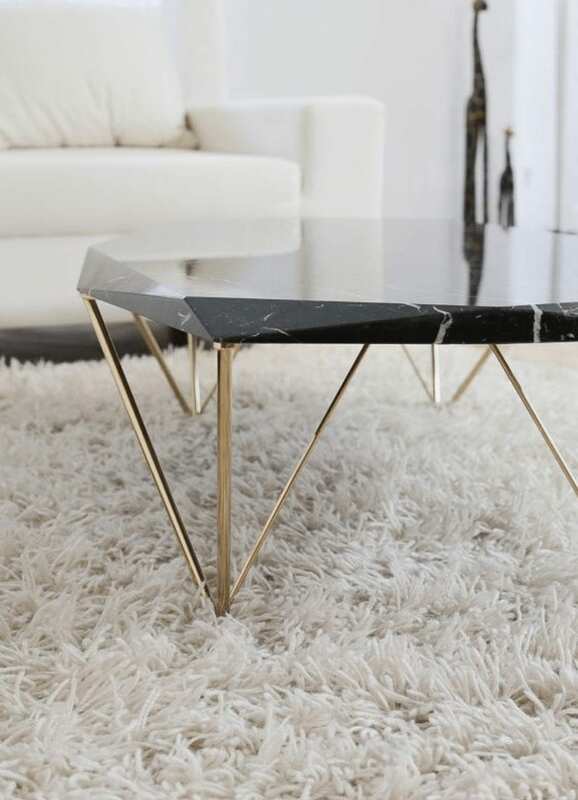 We love the ones with metallic geometric legs, or ideally a nest of them all a different heights – lovely! Marble has be be most at home in a bathroom. But how you use it is entirely up to you! 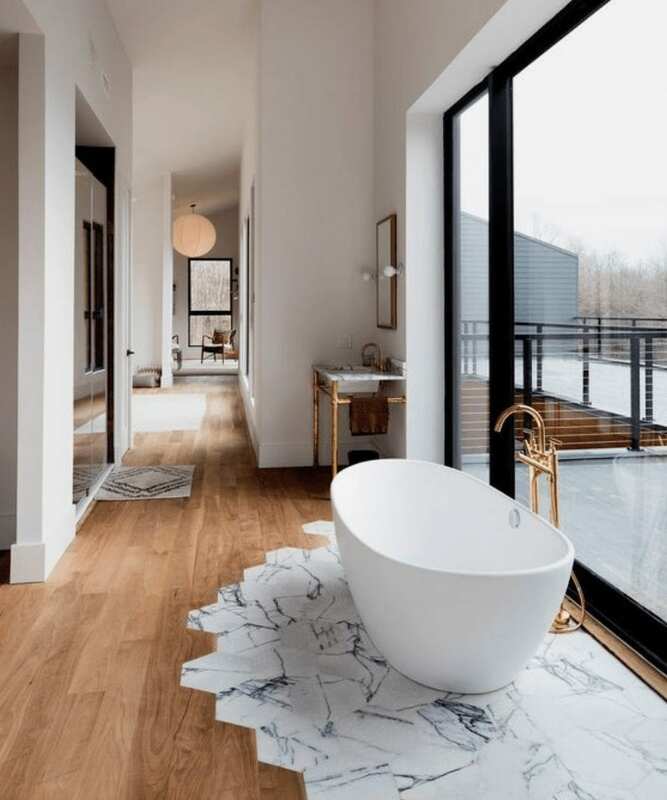 We love the idea of a marble bath and the one below is just divine. That room doesn’t need anything else. 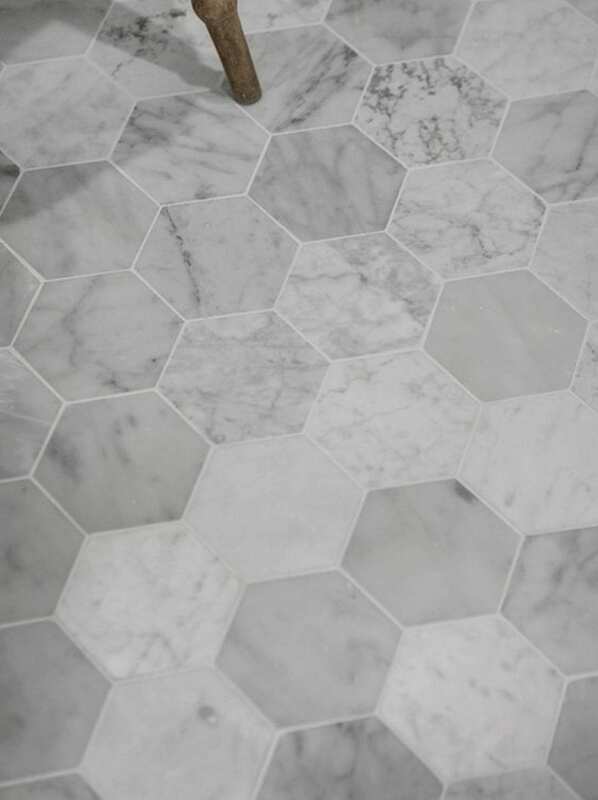 However, we also love it on the floor… these beautiful hexagonal tiles make a bathroom space within the larger room. Lets hope they don’t have any neighbours. 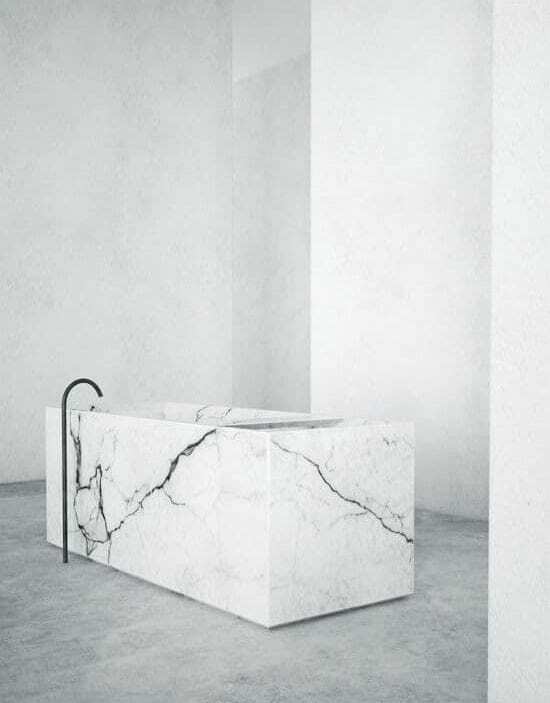 We hope you’ve enjoyed our round up of marble interiors. 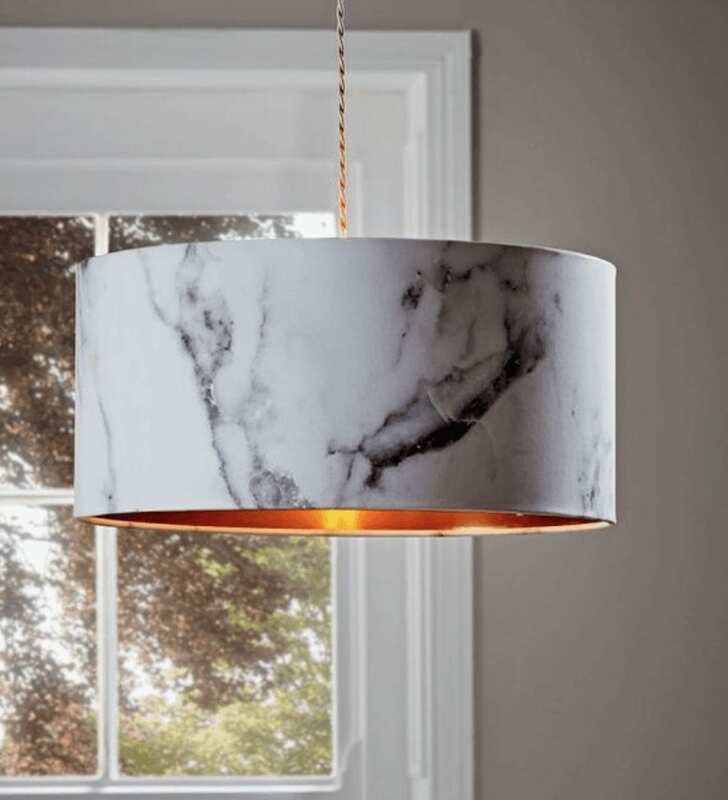 You can check out our Marvellous Marble Pinterest Board on the link below.